If you are looking for a job in Assam, here is the good news for you. 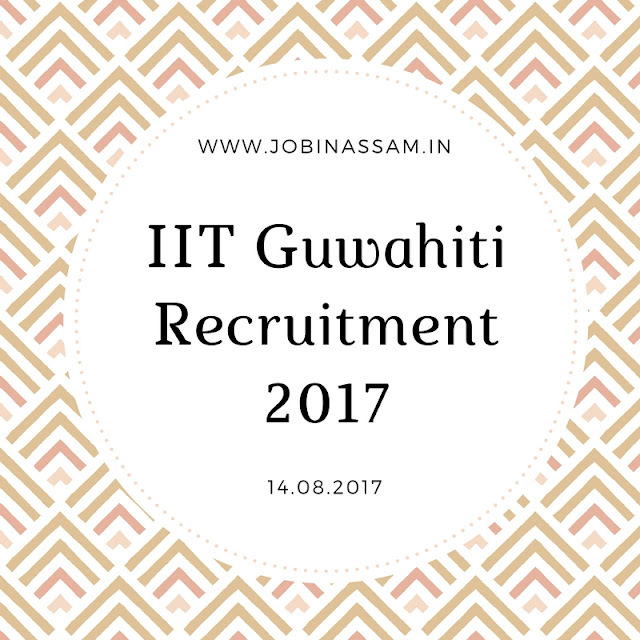 IIT Guwahati has published a notification regarding their latest Recruitment in various posts by IIT Guwahati Jobs in Assam 2017. Post Name- Junior Research Fellow. Name of the Post- Junior Research Fellow. These posts are advertised by IIT Guwahati to recruit eligible candidates for their department. You can give interview for the post if you have the eligibility mentioned above. Process of Application- It is not required to apply Offline for participating in the interview. Interview will be held on 14/08/2017 at 3 PM. Eligible candidates can attend interview at Indian Institute of Technology Guwahati IIT Guwahati on 14/08/2017. Candidates have to appear in the Walk in Interview along with an application/CV on plain paper giving details of all educational qualifications, experience, contact address, phone no., E – mail etc. and submit photocopies of relevant documents at the time of interview on 14 Aug 2017 (Monday) at 3pm . I have shared all the important knowledge for the upcoming IIT Guwahati Recruitment here. This is completely free service for from me. IIT Guwahati will be a good job for you if you are eligible for the post mentioned above, apply before the last date. Monthly pay for the IIT Guwahati job is also good.